Premier Women's Short Sleeve Jacket this made from an easy to care for robust fabric, 65% polyester and 35% cotton. 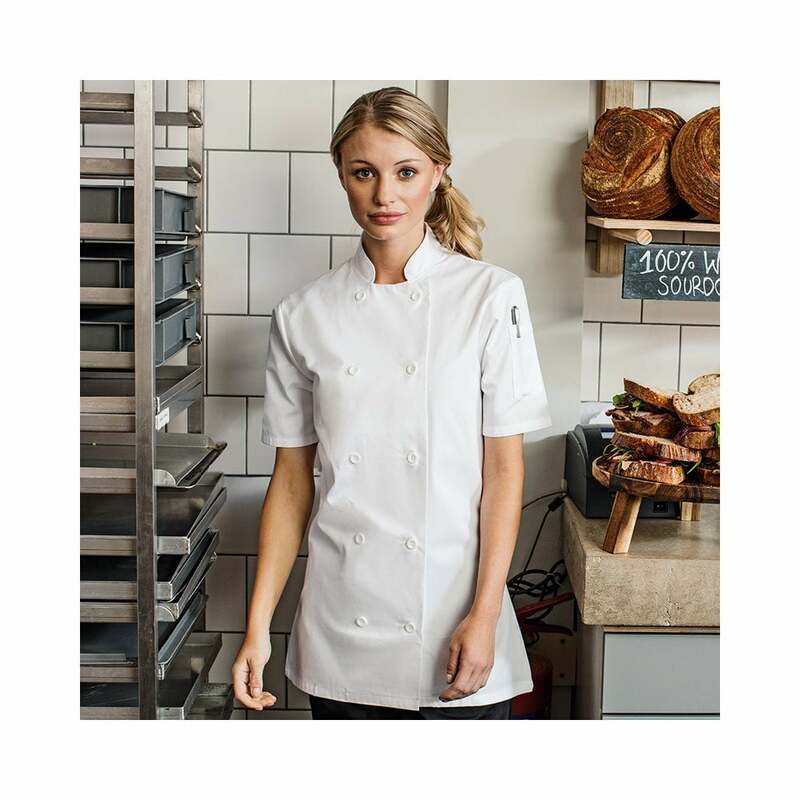 It has a panelled back for a feminine fitted shape, 10 button hole wrap over fastening and left sleeve pen pocket. White is the only colour available.